Step 1 COCONUT CRUST Brush the inside of a pie dish with coconut oil. Preheat the oven to 180C/350F degrees. Mix the desiccated coconut, melted butter, egg whites and sweetener together until combined Spoon the mixture into the pie dish and with clean wet hands, press the coconut mixture around the sides and bottom until the dish is covered. Bake for 20 to 25 minutes until slightly golden and firm. Remove from the oven and allow to cool. A key lime cheesecake that is set in a coconut crust makes a luscious dessert. A great low carb and gluten free dessert for summer. 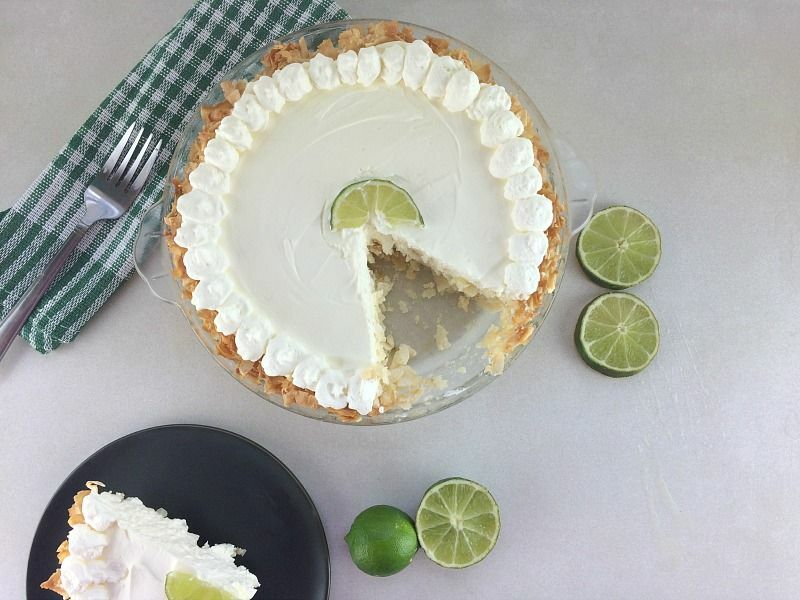 As a homage to the key lime pie, I used a 9-inch pie dish to make this cheesecake. When it was complete I rather liked the look of it and would use the dish again to make a coconut crusted cheesecake. If you want to stick with a spring form cake tin I would use an 8 inch one.